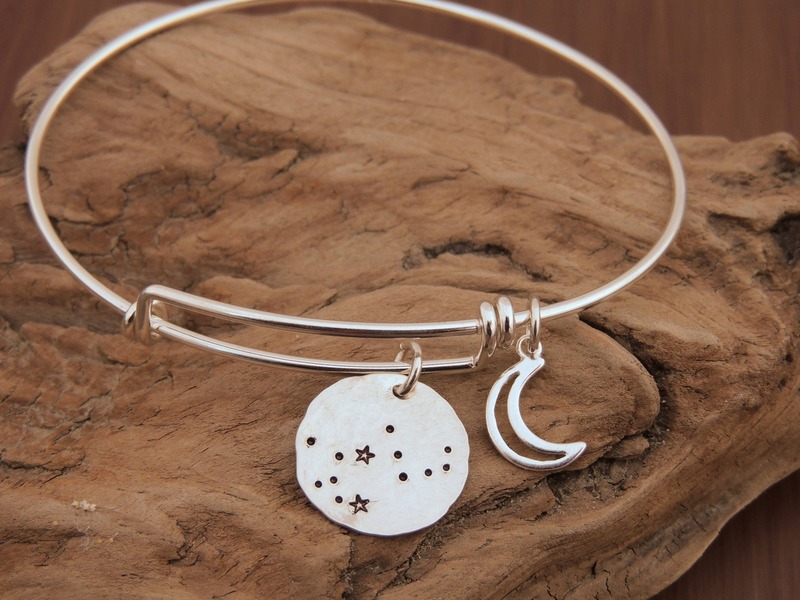 I am very excited to introduce my new Constellation Bracelet! I wanted to introduce a new unique and completely handmade celestial design. These handmade bracelets are sterling silver and feature an expandable bangle style similar to Alex and Ani bracelets. 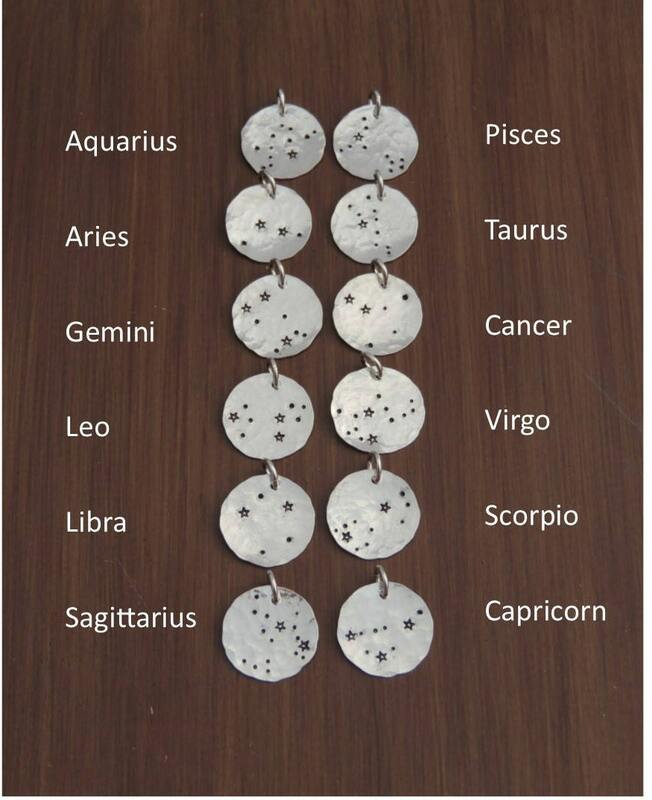 The discs on the bracelet are hand hammered for a textured look and then hand stamped with the your astrological sign stars. Each disc measures 5/8" in diameter and is made of solid sterling silver. 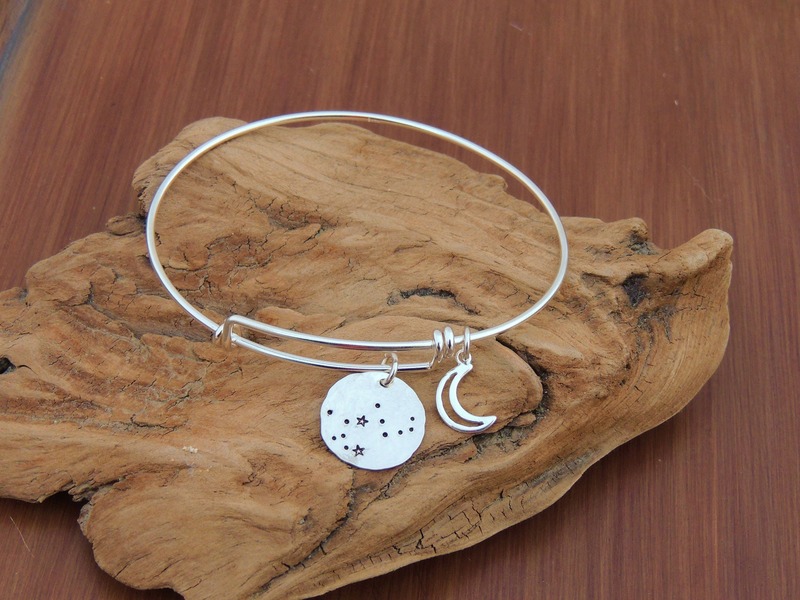 Each bracelet includes a sterling silver moon charm. Adult and child size bracelets available. *Child sizes fit most wrists age 12 and under. 1. Choose your zodiac sign from the 1st drop down menu. 2. Choose your bracelet size from the 2nd drop down menu.